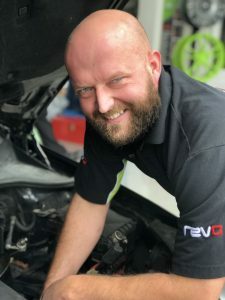 MQB VW Golf R clutch upgrade & Performance blog. In the workshop this week we had a Manual 2016 MQB VW Golf R undergoing a full SACHS Organic performance clutch upgrade with flywheel. The Car is equipped with REVO Stage 1 software taking the stock 300ps engine to 375ps with 360lbft. This vehicle notoriously suffers from a very light clutch, which when remapped is not strong enough to cope with the extra torque causing clutch slip. Clutch slip is something that many tuned and non-tuned vehicles can suffer with. 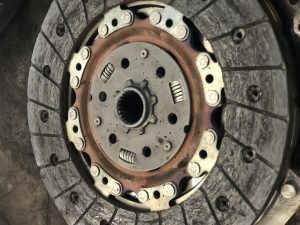 What are the causes of clutch slip? What is involved in a performance clutch upgrade? When carrying out any clutch repair/upgrade its important to use the very best product for that vehicle. Genuine OE parts for non-tuned vehicles and organic/sintered performance clutches for remapped manual cars. SACHS performance clutches offer a much stronger pressure plate, more robust materials that react better to heat. Race clutches are a much more suitable durable product to match increased toque requests. 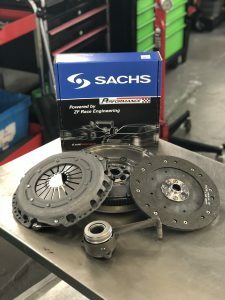 What are the benefits of a SACHS organic clutch? The Materials used by ZF SACHS delivers superior thermal resistance, stability and transmittable torque resulting in a longer lasting product. Opting for this product is highly recommended for tuned vehicles as well as motor sport & non remapped standard vehicles.